Soils in the UK are finally getting some much needed attention, though funded research, policy changes and the coming together of interested parties who are united in the drive to improve our understanding of this precious resource. However, there is much still to be learned and indeed policies, regulations and enforcement are not yet up to speed to ensure the survival of high quality soils and our important freshwater fish species such as salmon and trout. The link between soil management and salmon and trout ‘salmonids’ may seem unlikely, but the management of soils directly impacts upon the life cycle of salmonids. 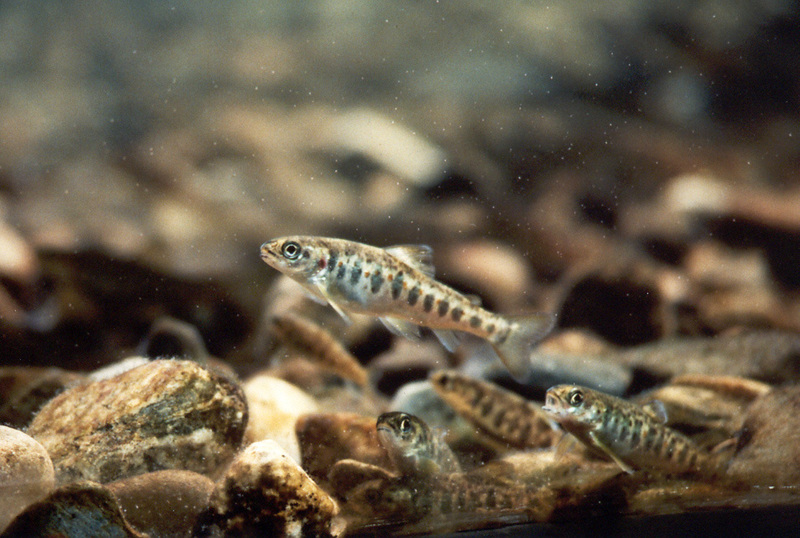 Salmonids require clean, oxygenated gravels to spawn, whereas other species of fish such as perch and roach are able to lay eggs on plants or stones that are less impacted by silt (fine soil particles). For salmonid eggs laid in gravels to survive the winter, they must have water passing through and space around the gravel to breathe. These eggs can become choked or smothered by silt during the winter following soil erosion and run-off. The problem can occur before this stage where no clean gravels are present and initial spawning fails. These issues are less obvious and chronic than many point pollution events that are often reported, investigated and where appropriate enforced. 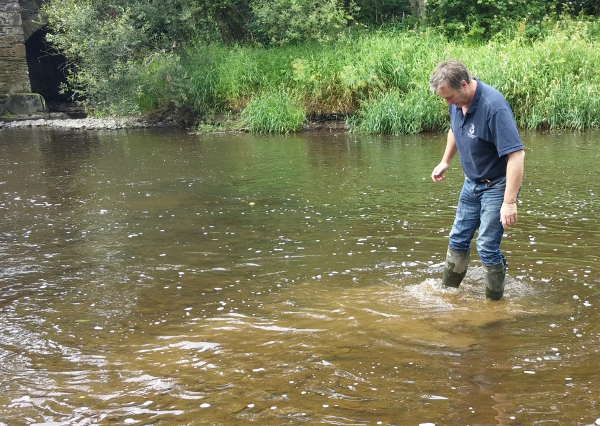 Fisheries surveys conducted by Westcountry Rivers Trust and others, provide an important insight into fish populations and how successful spawning has been. Many of our rivers in agriculturally intense catchments or those with inherently high-risk soil types have depleted numbers of salmonids due to poor spawning or egg survival. These streams and rivers may contain older fish but are often devoid of juvenile fish which provide the foundation for future populations. As well as monitoring, Westcountry Rivers Trust has worked extensively over the last 20 years to reduce soil loss and silt into rivers, predominantly through working proactively with farmers and land managers at a catchment scale, to reduce soil run-off and protect riverbanks from excessive erosion (more info here). These approaches have developed into pioneering projects such as Upstream Thinking, where a water company invests in improving water quality upstream of abstraction points to reduce treatment costs. The trust also works with other sectors such as forestry and is currently producing a best practice guide for foresters abstracting timber during sensitive times of year. More recently the trust has also developed its own river operations team, who deliver riparian works including stabilising eroding banks through installing woody material, to trap silt and prevent erosion. It is clear therefore, that as a movement and wider society we must do more to raise awareness of the vital role soils play in our catchments, but critically in the short term reduce excessive soil loss from all sources including, industry, forestry and agriculture to ensure the persistence of our iconic salmonid species.